Property Details: Two Bedroom, Two Bathroom Vacation Rental, sleeps up to Eight. Phoenix East condo, beach resort home in Orange Beach. Phoenix East has all the amenities you look for in a condo complex, including indoor and outdoor pools, and a Splash Pad for the little ones. Bring your rackets for tennis or racquetball, or bring your basketball and enjoy the courts on the condo grounds. Bring gym clothes for the exercise room to continue your workout schedule. After a long day, relax in the hot tub or the sauna. Ultimately, the beach itself is the main attraction, with its white sugar sands and gorgeous emerald blue waters. Phoenix East is beach-side, so no need to worry about crossing the busy Perdido Beach Blvd. Come Have a Ball at the Beach! 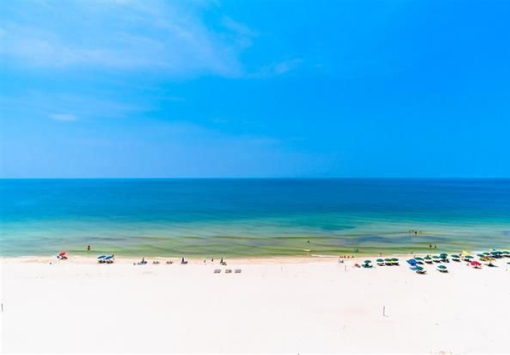 Phoenix East Condo Rental in Orange Beach AL..
Orange Beach Alabama has a year-round mild climate and is a popular family beach vacation destination on the Gulf Coast, the area offers an array of activities such as dolphin cruises, championship golf courses, charter fishing and nature hikes. Choose from national hotel and motel chains, camping or a variety of beach accommodations from private vacation rentals property management companies with huge inventories. There are numerous options for nightlife, from family entertainment to rocking roadhouses, enjoy your pick of plays, free concerts, dancing or just listening to a variety of musical genre. Enjoy the freshest seafood available at the numerous Orange Beach restaurants featuring fine-dining to laid-back local favorites. Whether you’re ready for fun and adventure, a tranquil day on the beach, or a succulent meal - you can find it all on Alabama’s Gulf Coast.